In this piece I perform a ritual with cooking. I set out a table with ingredients that include: beads, bullet shells, rose water, a cell phone, and a base of black fabric. 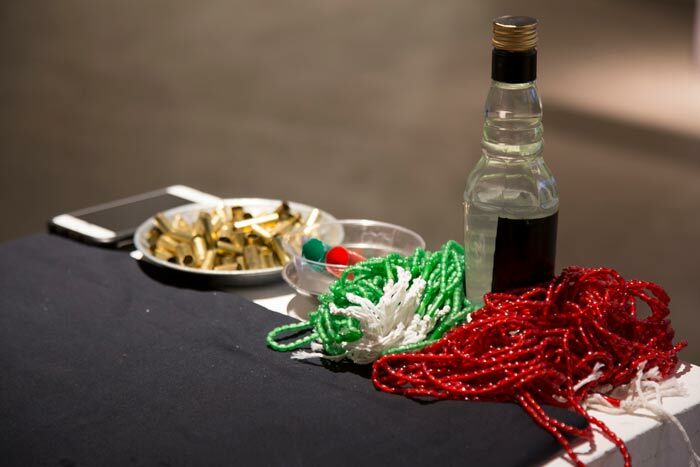 I make a flag composed of red beads, green beads and empty bullet shells. I baptize these in rose water, take a photo and upload it to social media. I then give the beads to my audience so they can use them to pray. 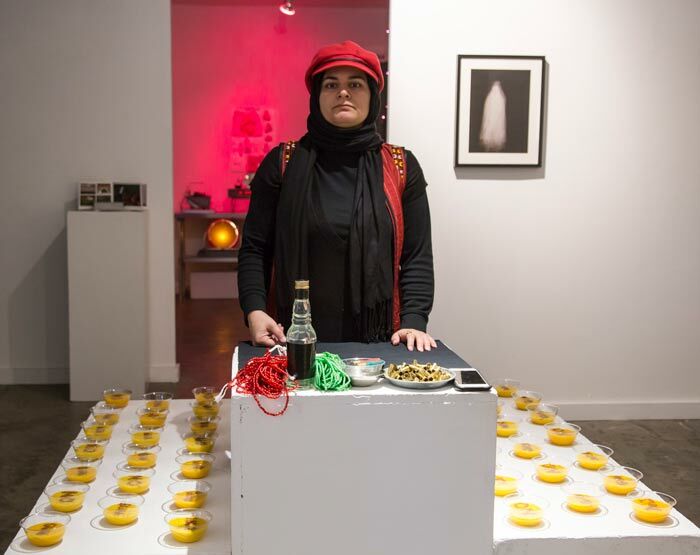 Next to the table, there are forty bowls filled with a yellow food called Shol-e-zard and decorated with the text “No Gun No War’” on top. Shol-e-zard is an Iranian dish traditionally cooked for funerals and religious ceremonies to distribute to public.